Whilst all surgical gloves must be sterile, disposable and provide a barrier against biological hazards, it's rare that a surgical glove made from smooth nitrile, latex or vinyl can offer a high level of grip. Featuring a textured surface, the Medline Signature Grip Latex Surgical Gloves MSG29 have been specifically designed to provide enhanced grip and feel, making procedures easier and more comfortable for surgeons. The product code for these gloves is MSG29. Please note that an additional two digits denote the glove size, e.g. MSG2980 for Size 8. 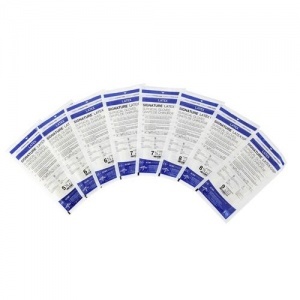 The Medline Signature Grip Gloves are low-protein latex gloves. 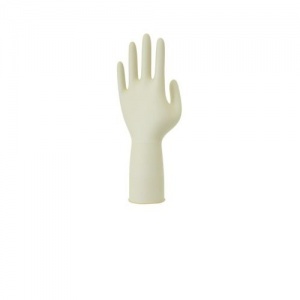 This means that have less latex protein than other latex gloves and may therefore reduce the chance of allergic reaction. In order to ease application, the Medline Signature Grip Gloves are coated with a synthetic polymer. This makes donning the gloves on dry or damp hands much easier. The Medline Signature Grip Latex Surgical Gloves are sterile surgical gloves which have been specifically developed for use in operating theatres. They are supplied individually packed to ensure sterility. The Medline Signature Grip Latex Surgical Gloves are available in eight different sizes, making them suitable for most users. Please consult the table below for details and select the appropriate size for you from the drop-down menu above. 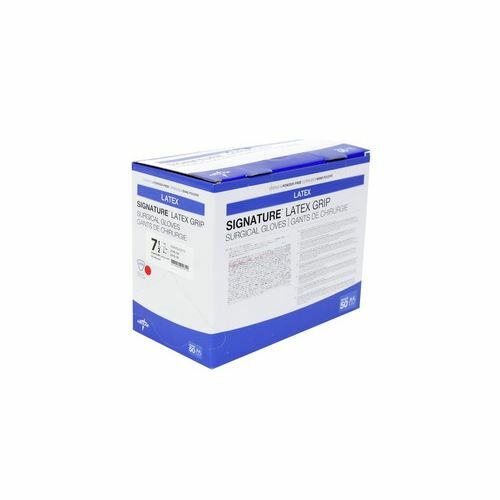 Please note that to ensure the highest level of quality for our customers, the Medline Signature Grip Latex Surgical Gloves MSG29 are not suitable for return. If you are unsure about the suitability of these gloves for your purpose, please check with our customer care team on 020 7501 1104 prior to purchase.